The energy sector is in the midst of a technological revolution. From blockchain and the Internet of Things to decentralized power grids, energy tech is having its day in the sun, and it’s clear that the next few years are set to transform the entire industry. 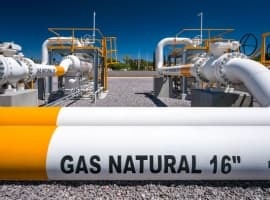 Faced with global warming, high-profile oil spills, and the industry’s seemingly undying love for dirty-burning fuels, the general public seems to have finally lit a fire under the powers that be, and new regulatory standards are forcing the industry to adopt or die. But it makes sense. Not only will the sector’s tech revolution help save the planet, it will also help supermajors cut costs and cash in on the unavoidable shift towards cleaner energy trends. Major companies such as Facebook, Apple and Google are already moving to renewables, with the tech trio aiming to be 100 percent free from fossil fuels within the few years. And that’s only the beginning. As renewable energy becomes more affordable, however, oil supermajors will have to innovate to remain relevant. 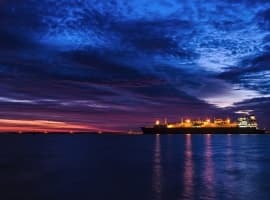 Whether that means investing in alternatives such as biofuel or cutting costs in the supply chain, Big Oil is being forced to make some major changes. Blockchain technology is taking on the energy industry, sending ripples through every major industry, and the energy sector is no exception. In its efforts to cut costs, the industry is finally beginning to embrace the technology in many ways. In its efforts to cut costs, the industry is finally beginning to embrace the technology in many ways. Still using paper contracts, dated tech and basic trading platforms, revamping Big Oil’s back office stands to save the industry a whole lot of money going forward. Every day, billions of barrels of oil trades hands, moving through producers, suppliers, contractors, subcontractors, refiners, and retailers. Keeping up with the process accurately and without taking some losses in the process is practically impossible. It’s a global endeavor, after all. It’s no secret that supply chain management could use an overhaul. And this is where blockchain technology can really shine. 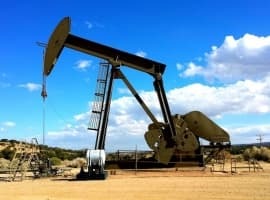 Smart sensors can measure the volume, temperature and location of each barrel of oil, relaying that data through the IoT, and applying it to a blockchain, allowing traders, management and even individuals to monitor the journey to ensure the quality and environmental impact of the product. And the finance side of things is no different. As a member of the Ethereum Alliance, London-based Vakt is already attracting a lot of attention in the field, with supermajors such as BP, Shell, Total, Chevron, and more, as well as trading houses like Mercuria and Koch Supply and Trading jumping on board. The platform, powered by JP Morgan’s Quorum blockchain, went live last year and aims to improve the security of trades, increase efficiency and create new financial opportunities within the sector. Lining the pockets of oil supermajors is great, I suppose, but the real impact of technological innovation in the energy industry is only beginning to be felt. Solar and wind power are increasingly within the reach of the every-man, and with the advent of micro-grids, small, neighborhood-scale energy solutions are beginning to take root, cutting utilities companies out of the mix. Startups such as Brooklyn-based LO3 Energy are using blockchain technology to create a peer-to-peer energy trading platform, allowing users within their micro-grids to buy and sell clean energy to one another, without the influence of industry majors. And the movement is spreading. In the heart of Australia’s ‘coal country,’ the Latrobe Valley Microgrid Program is slowly replacing electricity generated by coal with peer-to-peer solar energy. With the help of government subsidies, solar panels are popping up across the region, and businesses are sharing their resources, saving an estimated $10,000 per year in energy costs in the process. The Massachusetts Institute of Technology’s Digital Currency Initiative is looking to take this one step further, targeting the 1.2 billion people across the globe without access to electricity. While these decentralized initiatives are still in their infancy, they offer potential solutions to some of the world’s most pressing problems. But will Big Oil and the governments that effectively fund them allow these developments to progress? Regulation on these projects still remains in a sort of gray area. Because the tech is new, there is no precedent, and lobbyists could spoil the party before it even begins. Already, it’s illegal in many U.S. states to even collect rainwater for personal use – will governments take the same stance on solar energy?